The Civilian Noninstitutional Population (people over 16, not in prison or in the military) increased by 167 thousand people. 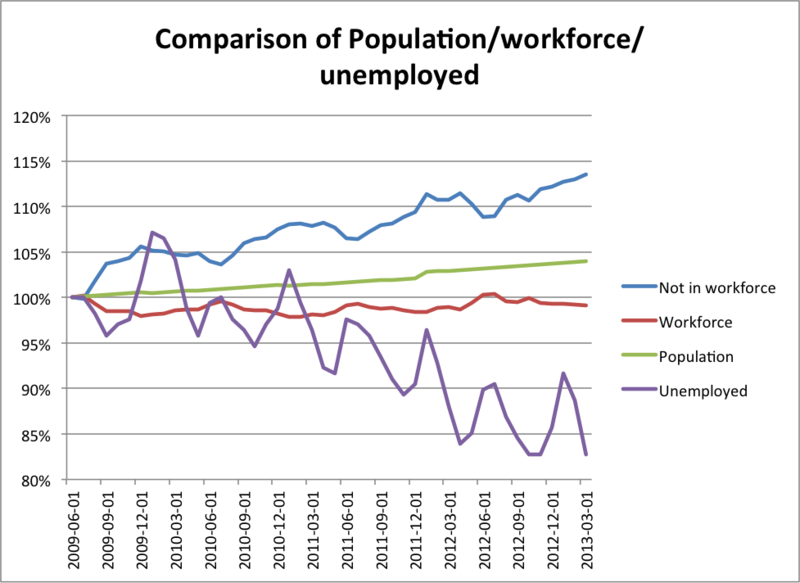 The number of employed dropped by 206 thousand. The number of unemployed dropped by 290 thousand. The labor force dropped by 496 thousand (206 + 290). 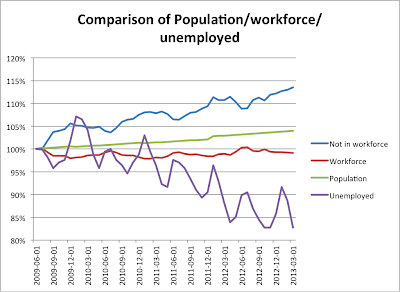 And if the working eligible population increased by 167 thousand and the labor force dropped by 496 thousand, that means that 663 thousand more people are not in the work force. The number of Americans not in the workforce has increased by 10.7 million a 13.4% increase. The labor force participation rate is the lowest it’s been since 1978. It doesn’t look to me like a lot of jobs are being created. And it makes me wonder what happens if the trend continues. Anyone know the answer? Anyone? Anyone? Bueller? PS: A portion of the blog title is from one of my favorite movies, Ferris Bueller’s Day Off, in which Ferris skips school to have a great fun time. Somehow, it seems appropriate.